SINGAPORE Art Week (SAW) is back, and this year’s line up is an absolute winner. As the city comes alive with creativity, you can soak up the arts from both budding local artists and the world-renowned names in the scene. One of the biggest headline grabbers this year is the ArtScience Museum’s exhibition of street art, starting Jan 13 and running right through to June 3. It’s been drawing attention for good reason. Think the biggest names in global street art, (and yes, that includes Banksy) and put them all on the Singapore waterfront. 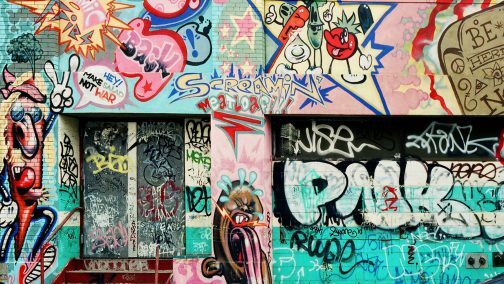 The exhibition – the biggest of its kind in the region – shows “how street art has evolved from an edgy counter-cultural practice…to a major art form,” says executive director of ArtScience Museum Honor Harger. Back for another year, Light to Night is a real spectacle of SAW, and it never disappoints. Using projection and light, the event showcases some of the cities major cultural institutions, turning them into spectacular works of art. Right in front of the National Gallery, the lawn will be transformed into a picnic ground with great views of the light show. Head down there for dinner and enjoy the full festival food street full of tasty treats. While seeing the big names can be a thrill, it’s just as important – if not more – to support the next generation of artists. Gathering together three award-winning young artists – Jodi Tan, Justin Lim and Yeo Jian Long – the Re:Generation exhibition showcases works using traditional materials, challenging the pattern of new media and installations. “Our three Young Singapore Artists discourse contemporary notions of beauty and temporality, existence and parallel existences, and social media,” the website reads. the former house of Tan Teng Niah, the last surviving Chinese villa in Little India, embodies an often overlooked story of the days when small Chinese industries operated alongside the cattle and rattan businesses at Little India, Singapore. If you’re a visitor to the city, the ARTWALK Little India can be a great way to see one of Singapore’s most captivating neighborhoods while soaking up the installations and performances along the way. Featuring 34 international contemporary artists, The Artist’s Voice at The Parkview Museum explores human existence and contemporary art’s capacity to convey essential messages and existential revelations. This is paired with REFRAME, a series of public programs that invite the audience to reflect on the artistic methods employed by artists to explore and expand on the concept of the artistic self. Included in this are sketching workshops and dialogue sessions with the artists. The post 5 things to discover at Singapore Art Week appeared first on Travel Wire Asia.